The following are events organised by or of interest to Skerries cruising sailors. As with all plans of this type, weather and other circumstances may bring about changes. Some of the events are listed as races but cruising in company has always been welcomed. 15th RHIANNON (Noel Lappin) to the Clyde joining CAI cruise, later Crinan Canal. ETE (Padraig Coistealbha) to Clyde and Crinan canal around the same time. End July and early August PREMIER CRU (Alan Jackson) to Skelligs area. RHIANNON (Noel Lappin) to Anglesey for a week. Would you like to crew on one of the boats mentioned above? Please specify which boat or boats in the “Other Information” section below. No guarantees can be given that a space will be available. In submitting this form I am giving permission for my contact details to be posted to the Skerries Sailing Club website for the purpose of finding a place on a boat. In submitting this form I am giving permission for my contact details to be posted to the Skerries Sailing Club website for the purpose of sourcing sailing crew. Visit the CREW FINDER PAGE! Recent posts about Cruising are shown below. Click on the title to see the full post. 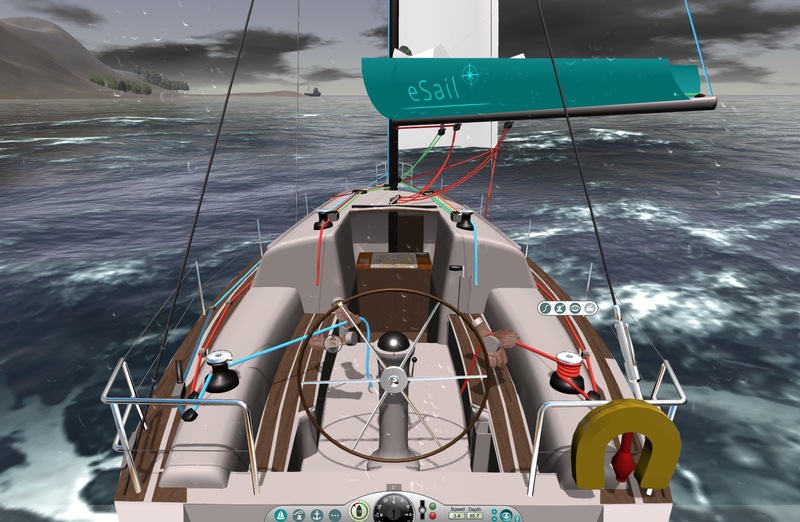 Excellent Sailing Simulator It's not everyday we see a good sailing simulator come on stream. 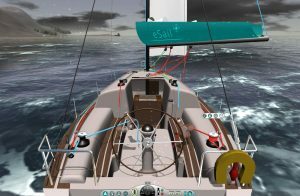 The ESail simulator is getting very good reviews and deservedly so. Dowloading is slightly messy in that you need to install a utility called STREAM first but it's worth it. The cost of the simulator is about €20 and it works in both Apple and Microsoft. There are no hidden costs and updates will be free. Blue Air’s Trip to Scilly 2018 Blue Air sailed out of Skerries on Saturday 2nd of June with its crew wondering where on earth we would get to. The fact that the Isles of Scilly had been the intended destination for the previous eight months was no guarantee we would ever reach them, given the previous year's frustrating experiences. In fact, one club member said, with tongue in cheek, that he would probably see us in Scotland! https://youtu.be/ax9W4GRuNyI Read the full story below! Glorious Sunny Launch 2018 The weather could not have been better as our cruisers returned to the water with full approval from the local seals. Fair Winds, Cheap Diesel and Sane Skippers for 2018! IRISH BOAT JUMBLE The now annual Irish Boat Jumble takes place on 15th April in Carrickfergus Sailing Club, Co. Antrim. Starts at 10.30 am. Carrickfergus is 165km from Skerries (by road) and is about a 2 hour journey. Here’s a chance to see the beautiful coast along the northern side of Belfast Lough. See Carrickfergus Club Website. Isle of Man via Howth Last weekend (19-21 May 2017) saw an interesting collaboration with Howth Yacht Club. HYC member Jill Somerville had organised to take a group of transition year students by boat to the Isle of Man. As they needed extra boat space, Blue Air was invited to join the expedition. https://youtu.be/QRiV1je4h1I Blue Air sat out for Howth on Thursday 18th at 15:00 and left Howth with most of the other boats on Friday morning around 05:00. Each boat carried 2-3 students, most of these aged 16 years. A Pontoon for Drogheda! Louth County Council have approved a pontoon for the port of Drogheda, to be located on the south side of the river near Scotch Hall and to be ready in time for next year's Maritime Festival! Barnageeragh Picnic! An invasion of dinghies and cruisers descended on the quiet bay at Barnageerah on Saturday 13th August 2016. This event had been organised by cruiser captain Kathryn Collins and, by all accounts, was a big success. Sail Trim Tips Two video clips that contain tips about sail trim and come highly recommended by Paul Harrison. Apps for Cruising Here are suggestions about apps that are useful to have on your smart phone or tablet. Some will work anywhere, some depend on an internet connection, some depend in part on an internet connection (e.g. to download a map). Most of the apps quoted have iphone/ipad and Android versions. (We include some apps for racing also!) Your comments about apps you found useful are welcome.